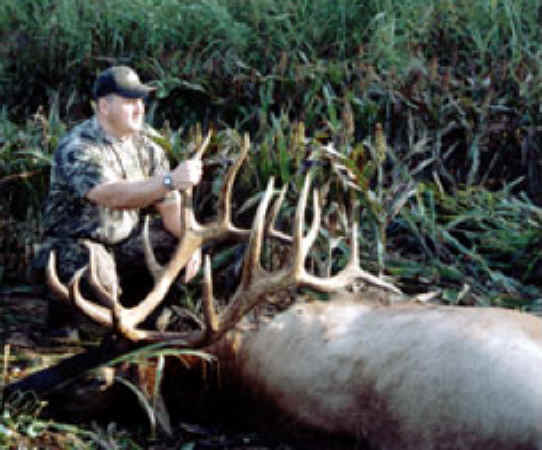 (Elk Exploitation - Canned and Trophy Hunting - 06) Hunters like this one pay between $2,500 and $15,000 to kill a captive elk, depending on the size of the elk's antlers. 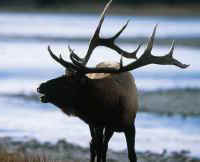 We can think of no redeeming excuse for killing such a magnificent animal. To simply kill to satisfy one's ego is evil.